"I have received the plug this evening. Thank You very much on this matter! Your after sales service is 1st class and I will only be using this company to purchase all my lighting from now on." 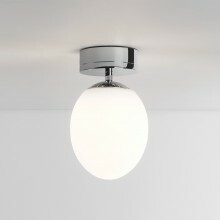 Looking for the perfect illumination solution for a bathroom? First Choice Lighting's collection of stunning bathroom ceiling lights allows for all-round, even illumination that will light up every corner of the bathroom. Whether enjoying a refreshing morning shower or relaxing in the tub during the evening, we have the solution that will turn your bathroom into a luxury spa.